The philosophy of cognitive science has recently become one of the most exciting and fastest growing domains of philosophical inquiry and analysis. Until the early 1980s, nearly all of the models developed treated cognitive processes -- like problem solving, language comprehension, memory, and higher visual processing -- as rule-governed symbol manipulation. However, this situation has changed dramatically over the last half dozen years. In that period there has been an enormous shift of attention toward connectionist models of cognition that are inspired by the network-like architecture of the brain. Because of their unique architecture and style of processing, connectionist systems are generally regarded as radically different from the more traditional symbol manipulation models. This collection was designed to provide philosophers who have been working in the area of cognitive science with a forum for expressing their views on these recent developments. Because the symbol-manipulating paradigm has been so important to the work of contemporary philosophers, many have watched the emergence of connectionism with considerable interest. The contributors take very different stands toward connectionism, but all agree that the potential exists for a radical shift in the way many philosophers think of various aspects of cognition. 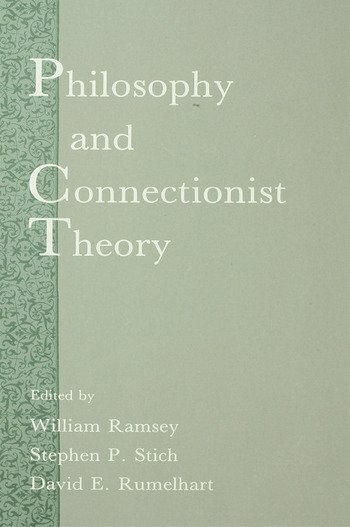 Exploring this potential and other philosophical dimensions of connectionist research is the aim of this volume. Contents: D.E. Rumelhart, Series Foreword. Preface. Part I:Connectionism and Other Styles of Cognitive Modeling. M.A. Boden, Horses of a Different Color? D.C. Dennett, Mother Nature Versus the Walking Encyclopedia: A Western Drama. Part II:Representation in Connectionist Models. T. van Gelder, What is the "D" in "PDP"? A Survey of the Concept of Distribution. J. Haugeland, Representational Genera. R. Cummins, The Role of Representation in Connectionist Explanations of Cognitive Capacities. A. Clark, In Defense of Explicit Rules. T. Goschke, D. Koppelberg, The Concept of Representation and the Representation of Concepts in Connectionist Models. G. Hatfield, Representation in Perception and Cognition: Connectionist Affordances. Part III:Philosophical Implications of Connectionism. W. Ramsey, S.P. Stich, J. Garon, Connectionism, Eliminativism and the Future of Folk Psychology. M. Davies, Concepts, Connectionism, and the Language of Thought. W. Lycan, Homuncular Functionalism Meets PDP. W. Ramsey, S.P. Stich, Connectionism and Three Levels of Nativism. "...contains a number of interesting and surprising conclusions supported by clear and cogent argumentation....will be of interest not only to those interested in connectionism, but to those who take an interest in the language of thought hypothesis and what it is for a system to have knowledge of a rule."